Going from a comfortable 50 degrees in Philly to 20 degrees (with wind chills) in Boston can be a pretty drastic change. But that’s what we get for driving up to Boston in late November! We made an appointment to meet up with Brendan and “Fat” Mike in Boston early Sunday morning, so we drove up the night before to beat the morning traffic up 95. So the first location we wanted to check out was the Fan Pier, which was recommended as having a pretty nice view of Boston’s cityscape. 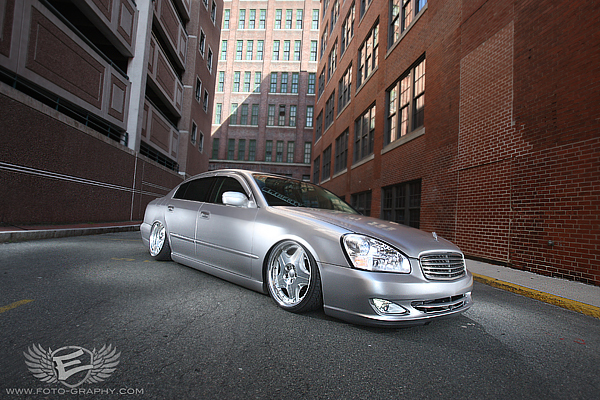 We ended up driving around the area and took photos in a number of different spots, but ended up choosing this backdrop for Brendan’s Infiniti Q45. CLICK HERE TO SEE MORE BEHIND THE SCENES IMAGES. 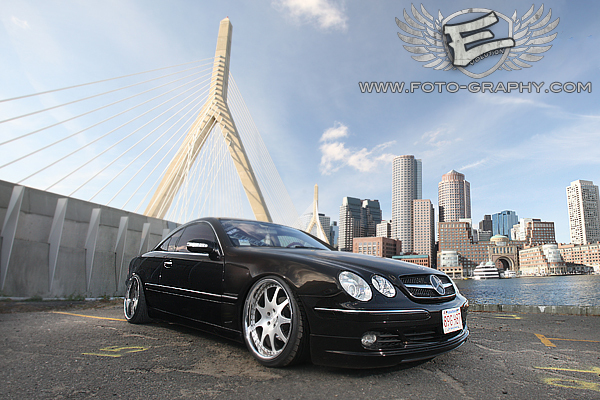 We later met up with “Fat” Mike for a photo shoot with his Mercedes Benz CL550. We drove around Boston and again after shooting in alleyways and around landmarks, we found the Zakim Bunker Hill Bridge to provide a distinct Boston background for Mike’s car. If you are a Boston native and you are wondering how we got the Boston Skyline and the Zakim Bridge in the same shot, it’s our little secret, don’t worry about it…. And a special thanks to “Fat” Mike for feeding the photographer (and assistant) and treating us to a Tasty Burger in Fenway! Copyright © 2008-2014 Evolution Photography.